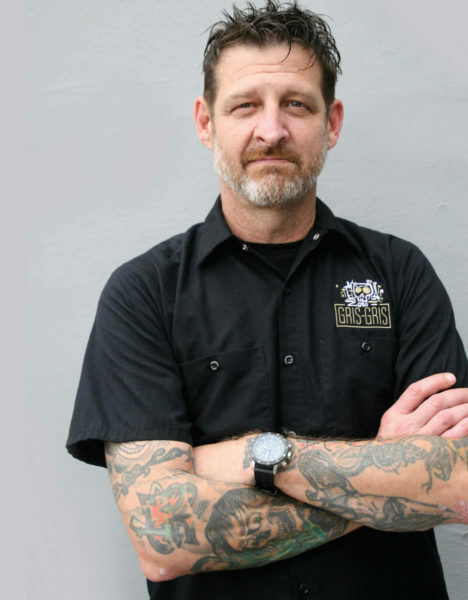 For Eric Cook, Executive Chef at Gris-Gris, food is all about bringing people together and celebrating the deep-rooted tradition and culture of New Orleans. Cook, who was born and raised in the Crescent City, loves that this is a city where people know how to throw a party for anything and everything. So when the space on Magazine Street — previously home to Square Root — became available, he jumped at the chance to bring his love of food and culture to life. And a smart decision it was. Cook recently received the Reader’s Choice Award for Eater’s Chef of the Year, while Gris-Gris won the 2018 Restaurant of the Year designation. In addition to the main dining room with open kitchen on the first floor, and the bar and additional seating upstairs and on the adjoining balcony, Gris-Gris also features an event space called the Samedi Room. It branches off of the second-floor space and features a large dining room, an open kitchen and a third-floor lounge area that opens to a terrace on the roof with panoramic views of the Garden District and city skyline. With enough space for 20 to 40 guests, its the perfect place for parties of all kinds.